The white 'Contrast Cardi' long sleeve t-shirt features layered graphic images of Cardi on the front in navy blue. Above the image, 'Cardi B' is printed in navy blue block type. On top of that 'Cardi B' is printed in a neon turquoise color. Both sleeves have 'Cardi B' printed in the same neon turquoise color. 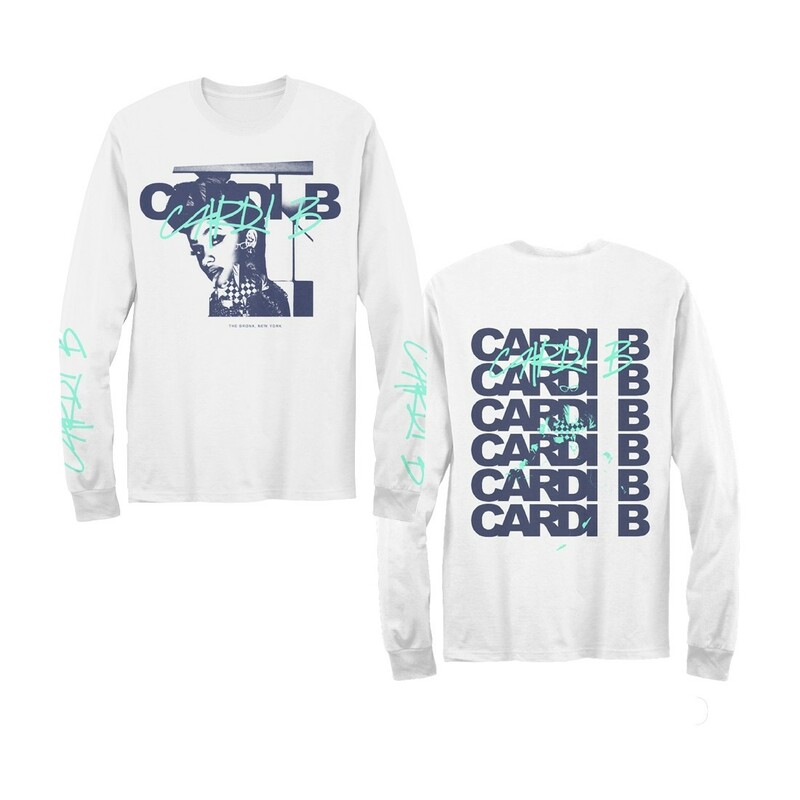 On the back of the shirt, 'Cardi B' is printed in a navy blue repeat pattern. The back also has a graphic of Cardi from her 'Invasion of Privcay' album in turquoise. Unisex fit.